Put together a family camping bin and master camping checklist. It’s a lot easier to remember everything you need when you are not in a rush to hit the road. Take some time beforehand and create a master camping checklist. I store mine in a plastic sheet protector. That way I can add to the list. I use dry erase markers to cross everything off of the list once it’s packed. This is a great way to reuse your list over and over again. My master list has lasted like this for years! Make sure to add things to your list to help keep you and your family clean and practicing safe hygiene. Take something to do, or make a plan for something to do. You can only listen to the wind for so long. Especially for the littles, it’s important to make this a positive experience. Go for a hike or nature walk, make a nature friendly fort or rock art, or go on a nature scavenger hunt. My camping bin has fun board games that we only play when we are camping. Plan for some great eating. There are so many great camping food ideas out there. We love to use our Dutch oven, but that can take some time and practice. Some of the best times we had camping were when we kept things nice and simple like hot dogs and muffins. You can make a lot of things ahead as well so you have more time to enjoy the great outdoors. It might be good to try some camping recipes out on the family before you go, so that you know you won’t disappoint. A well-fed camper is a happy camper. 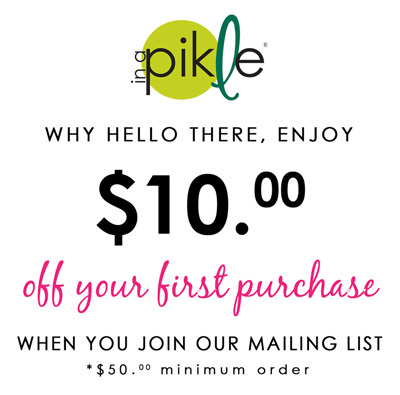 Don’t forget to take your Pikle! Seriously. I have a Pikle that stays in the camping bin. I restock when we get home so that I know we are ready to go again. It is so comforting knowing that I have quick access to the things that I need when I am in a “Pikle” and up a tree. Whether you camp in the great outdoors, your backyard, or your living room, make it a great adventure! There are so many ideas out there to help make it easy and stress-free. If the mountains are calling you, then you must go! This entry was posted in In A Pikle and tagged adventure, busy, camper, camping, checklist, clean, dry erase, dutch oven, eating, family, fire, food, fort, freedom, hacks, happy, hot dogs, mountains, muffins, outdoors, outside, packing list, plan, road, rock art, scavenger hunt, tree, weekend.